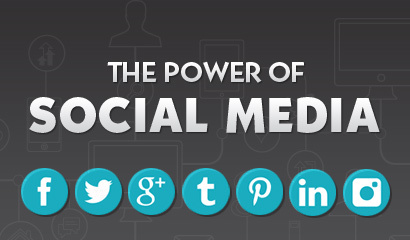 How powerful are you in social media? A simple question yet has a million of possible answers, your power in social media lies on your hands — yes, because through mobile phones and a click of the mouse, viola! A status gets updated everytime. Overall, this survey found that 85% of adults are internet users and 67% are smartphone users. Having that handy smartphone with you gives you a lot of power, you’ll be able to keep track on national and international affairs by being updated with the news. And that alone gives you the ability to decide, contemplate, and commune on that issue. There are a few things to keep in mind when targeting mobile users. Ensuring that you link to mobile-friendly sites is a good start. Linking to Twitter usernames of people you mention and adding hashtags can also be helpful for mobile users, who might want to find out more without opening new browser windows or searching in their Twitter client. So being equipped with a great social media publishing tool for mobile is now more important than ever. It’ll be interesting how the shift to mobile will become even more obvious in the coming months and years. Seeing these statistics empower users by showing them that they matter specially when it comes to gathering of information. Always remember that the social media makes it possible for the on-ground audience be the ‘reporter’ by simply updating their accounts of what is happening, real-time.